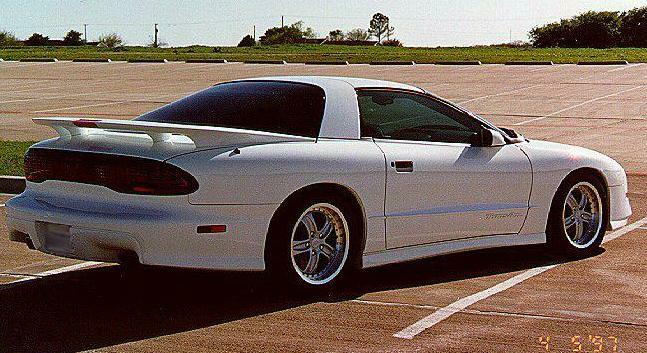 "My 1996 Pontiac Trans Am, WS6 package equipped with Ram Air, 17" Goodyear GSC 275/40ZR17 tires, 5 spoke aluminum wheels, raised rear spoiler, dual tuned ovular exhaust, a 4 speed 5.7 liter LT1 SFI V8 (MONSTER) engine, and a lot of the other "usual refinements"... (i.e. fully loaded)." 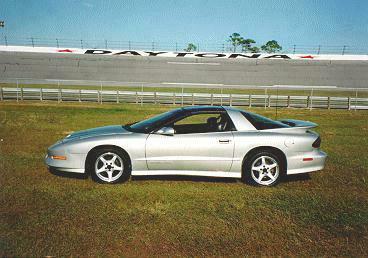 I was working for International Speedway Corporation in Daytona Beach, Florida as their AIX/UNIX Systems Administrator. At the time I had a '94 Jeep Cherokee. I decided that I wanted something fun to drive. 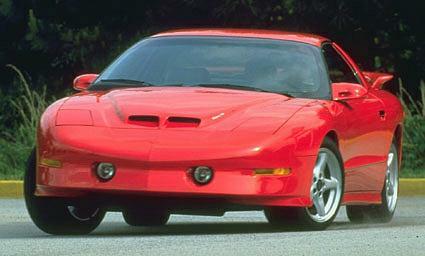 I was told that Pontiac "GAVE" Trans Am's to the speedway executives for promo purposes. 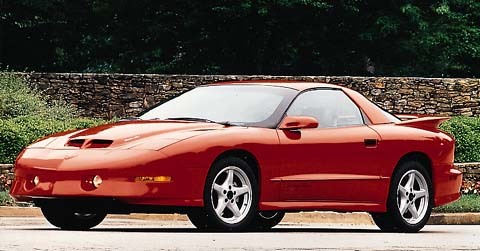 One of the executives (the Risk Manager) had a '96 WS6 for his executive car. I found that the car was coming up for sale and quickly put a claim on it. 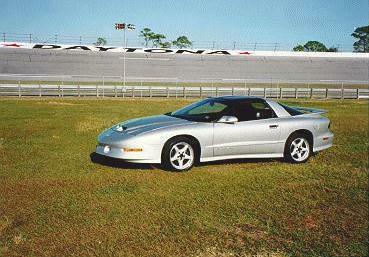 I also was told that the car was used on the Daytona International Speedway 2 times for demo rides, however it had a vibration at 115mph so it was not used again. A friend suggested that the drive shaft may be causing the vibration. After some searching I discovered that Pontiac has issued a TSB regarding out of balance drive shafts on some '96 Firebirds. I had the local dealer in Daytona replace the drive shaft under warranty, using the TSB, with the 1LE aluminum drive shaft. That solved the vibration problem. 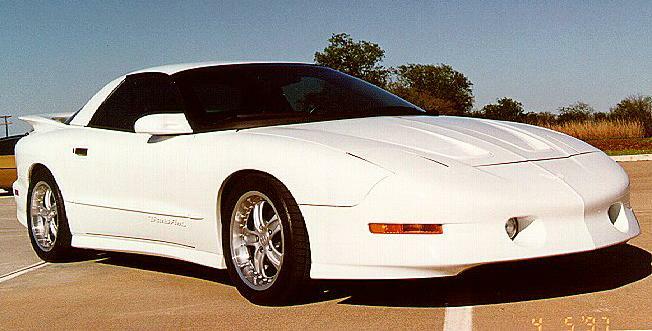 If I had waited any longer to get my hands on the WS6, Pontiac would have sent it to the local auto auction and there was nation wide interest in that specific car. Now I have always been a MOPAR man but MOPAR is not making anything in this price range that even comes close to the WS6!! I bought it in November of '96 and fell in love. The car is a dream to drive. However I never expected to get the attention that it gets. I even had a guy ask me to pull over so that he could look at it. In August of '97 I left International Speedway Corp. and drove the WS6 across the country to my home in California where I now reside." 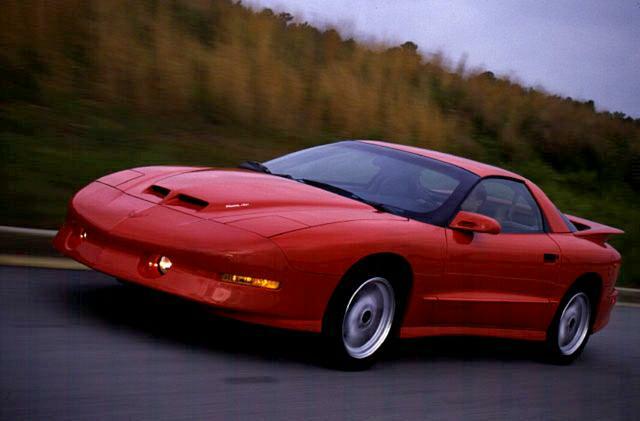 A great pic of a WS6 Trans Am flying down the road. 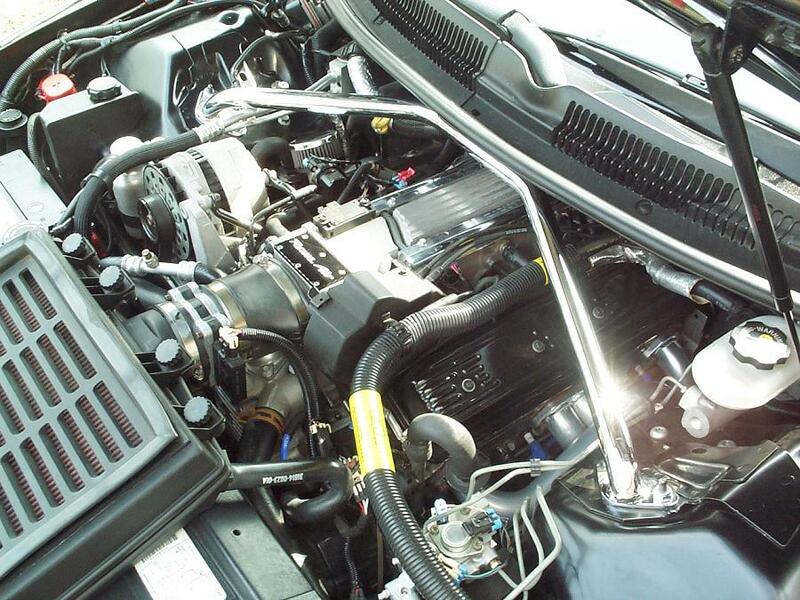 Part of the new WS6 package included several suspension upgrades including firmer springs, shocks, and bushings. Larger sway bars were also installed; 32mm up front and 19mm in the rear. 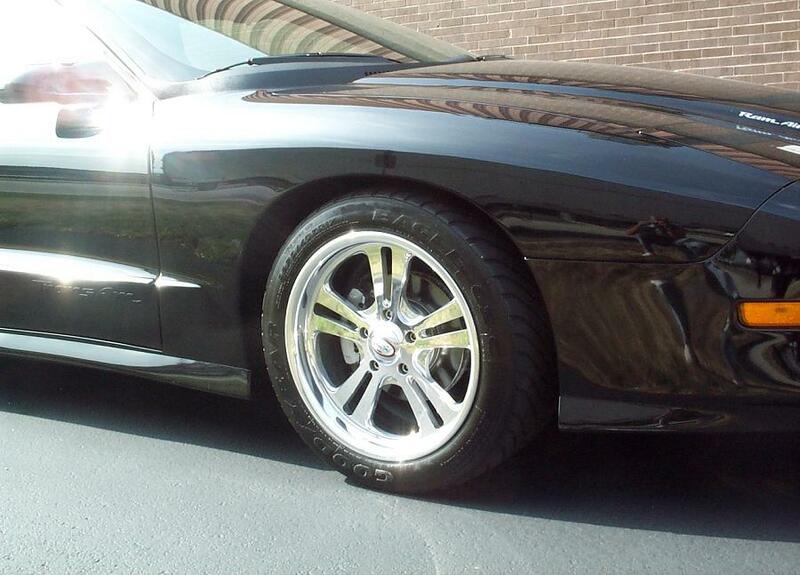 WS6 cars alos got exclusive 17"x8" 5-spoke aluminum rims with P275/40ZR17 mounted on them. 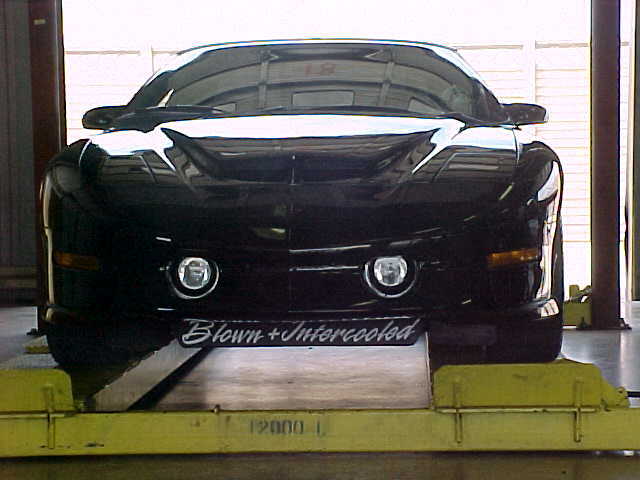 This awesome Trans Am used to belong to Eric Cerney. 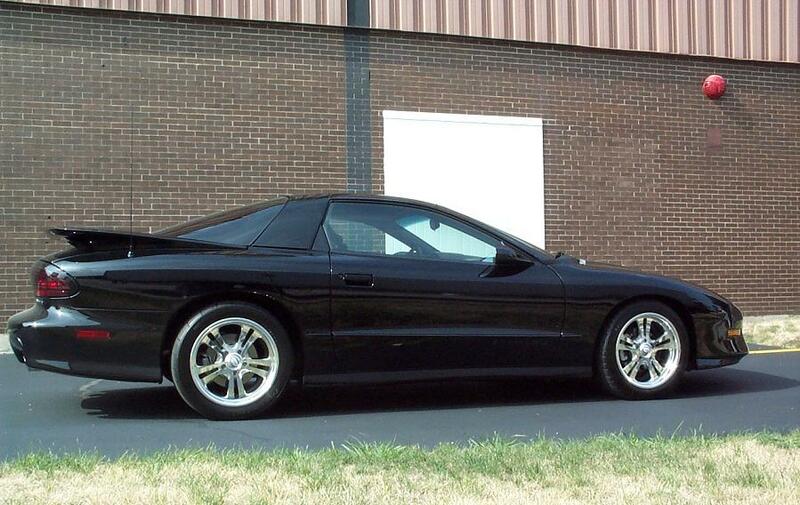 Eric only recently sold it to finance a 1998 Trans Am (see the 98' Firebirds Lot#1). This car had been modified a little and posted a best time 14.147 @ 97.97mph before it was sold. 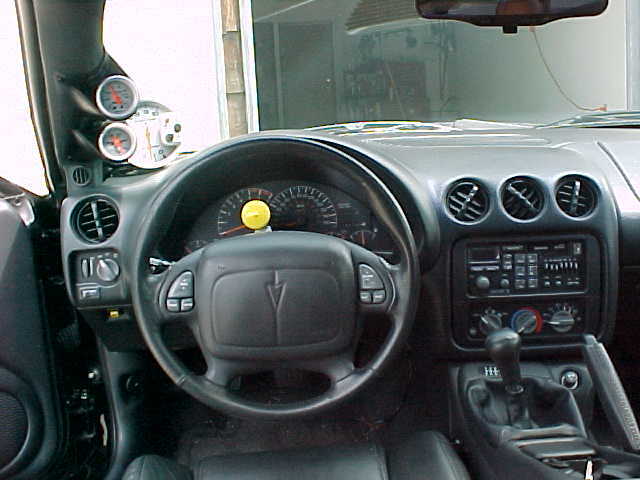 Factory options included a performance axle, graphite leather, GSCs, steering wheel controls, the 10 speaker CD high output stereo system, and remote keyless entry. The modifications that have been performed include, relocating the IAT, installation of a TB coolant bypass, new pulleys, Flowmaster mufflers, ST swaybars, a Herb Adams adjustable panhard rod with spherical end links, performance custom control arms, Eibach springs, Bilstein shocks, an LG air kit, a TransGo shift kit, a set of Enkei "WIN" 17"x9.5" wheels, a set of BFG 275/40ZR17 Comp T/As, Ram Air exhaust tips, and Mobil1 synthetic oil and lubricants throughout the drive train. Eric has had a long collection of white TAs. 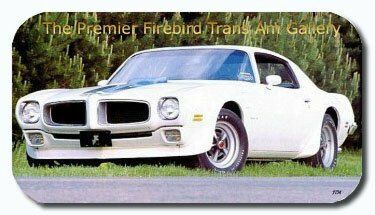 He has owned two '78s (check out the '78 Firebirds Lot#2) and a '95 Trans Am (check out the '95 Firebirds Lot#1). 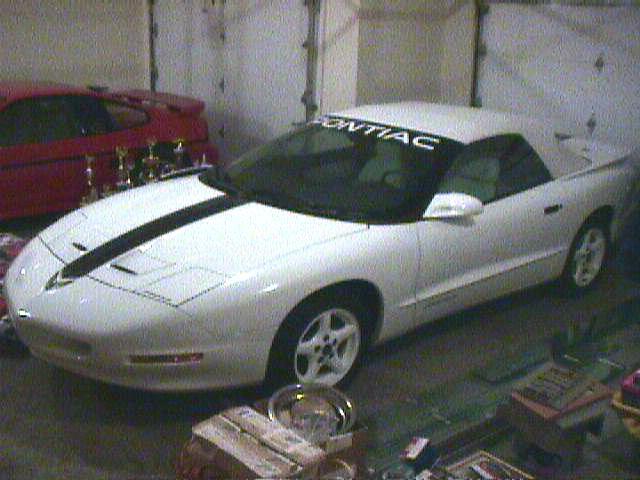 A red WS6 Trans Am stands at the ready next to a wall. How'd you like to have one of these sitting in the driveway everytime you walk out the door. 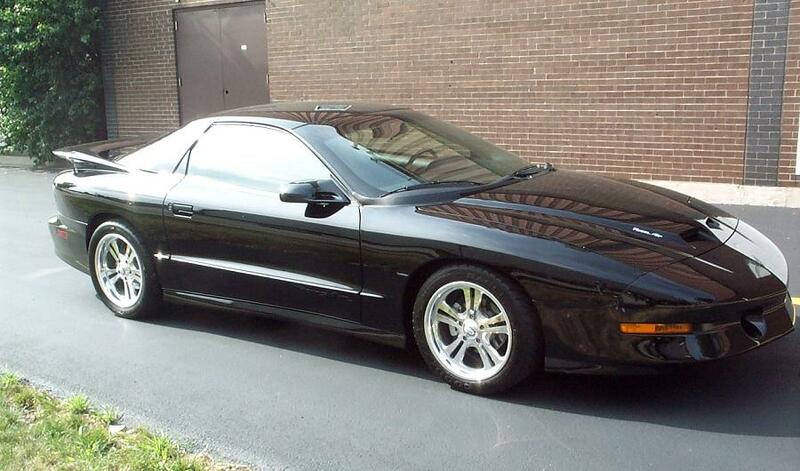 The WS6 package was added by Street Legal Performance (SLP). The extra package cost the buyer an extra $2995. Another great shot of the handling capabilities of this fantastic bird. "This "Red Rocket" is my high speed stress reliever. There's nothing like taking off the T-Tops after a rough day at the office, hitting the back roads, sliding in a good jazz sax CD, and letting the LT1 roar to life. My '96 TA comes equipped with full leather interior, 10 speaker / equalizer CD, Flowmaster exhaust, and the K&N filter charger intake replacement system. Mix it all together for a truly awesome combination of speed and beauty. 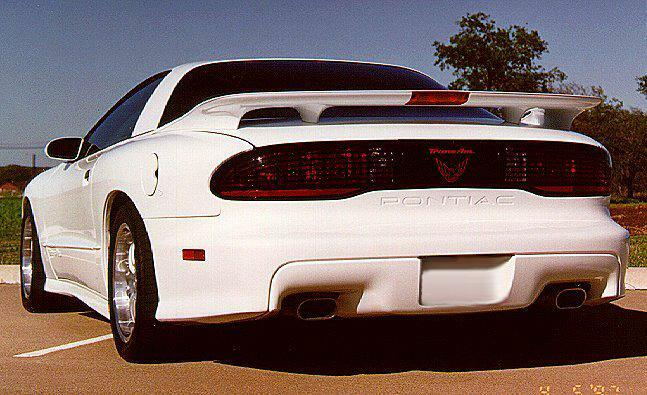 Pontiac all the way." 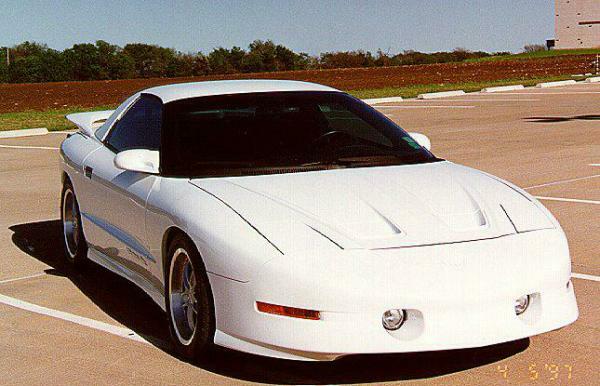 This awesome 25th Anniversary look-a-like Formula convertible is owned by Gary Vass. Gary found and purchased the car in Oklahoma for his wife to drive. Its got just over 5,000 miles and is equipped with a factory six speed. 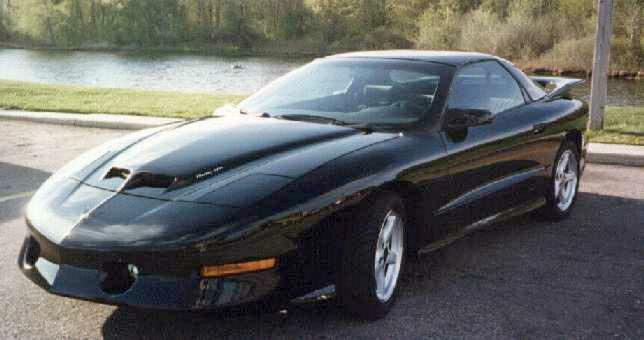 "I am the original owner of this 1996 WS6 Trans Am. 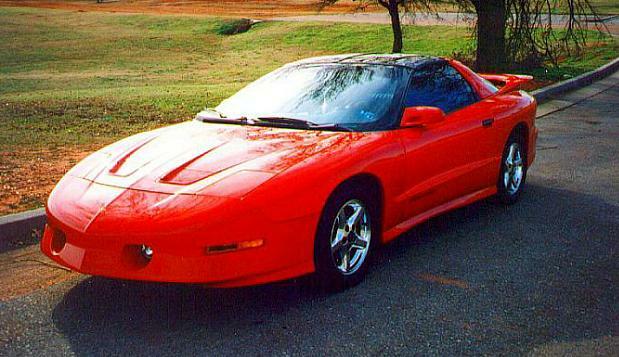 I ordered the car in January 1996 and did not receive it until July 1st 1996, but it was worth the wait. This car is not loaded up like most WS6 cars. The only options that I elected for was the WS6 Ram Air Package and the mandatory rear spoiler and that's is it besides was is standard on the car. That's right no Leather, no T-Tops, and no Automatic. I like to get the most out of my cars so added some performance parts to enhance the performance of my ride. 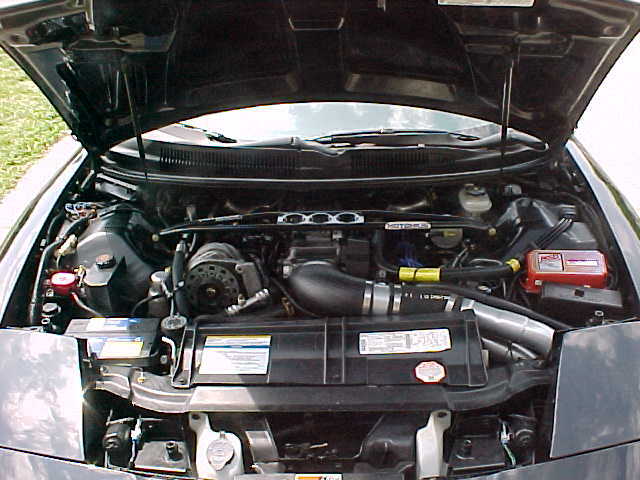 When it was stock It ran 14.0-14.1 and about 99 MPH. I first started with the suspension and added subframe Connectors, LCA's, Panhard Rod, Adj. Torque Arm, Strut Tower Brace, and Lowering springs. Second I upped the performance of the motor with bolt-ons. First I added the K&N air filter, Foil, MSD 6A box, ASP Pulley, 94-95 SLP Stainless Headers (coated), ATR Stainless Catback, and 4.10 Gears. The only appearance mod I did was to To change the Wheels. I went with Boyd "Fury" 17x10 wheels all the way around, keeping the 275/40/17's up front and Replacing the rear with 315/35/17 Nitto drag Radials. The end result of all these Mods has really Made the car a lot faster and a great handler. I have Driven this Car at Road America, on the street, and even at the drag strip where it is now running 13.0 at 107 MPH with just bolt ons and a complete stock engine. I have to say this car is a real joy to drive."